With VDH ever continuing technical improvements, it is logical to replace the already since 1982 available D - 102 Series (after 24 upgrades in the meantime) by an actual HYBRID version. 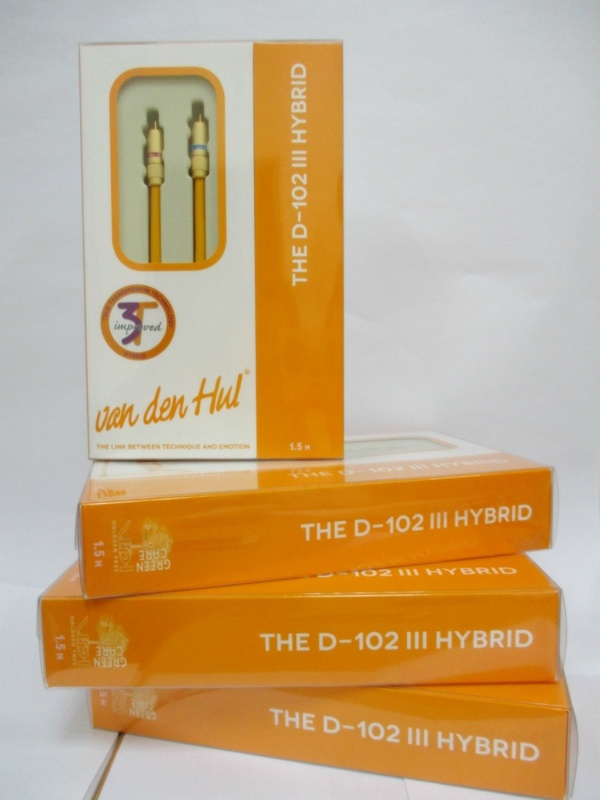 Together with VDH Linear Structured Carbon ® technology, VDH have therefore applied some number of strands from VDH’s highly acclaimed 3T-technology into the new D-102 III Hybrid. In unbalanced operation the two internal conductors can simply be taken together with the shield acting as the signal return, though the better and preferred layout (which VDH apply) has the shield only connected to signal ground at the signal source side (marked by a ground-end marking sticker) and one of the internal conductors functions as signal return. The external diameter of the D - 102 III HYBRID is 7.25 mm. ; a size which perfectly matches VDH’s C - 7.3 RCA type connectors. Resistance :Cores: 5.5 Ohm/100 m.; Screen: 0.62 Ohm/100 m.
Insulation :Cores: PE foam; Jacket: HULLIFLEX ® / 300 Vrms min. Remarks :RCA connector terminated units are equipped with a ground-end marking sticker.